Greetings! 2015 has been a very exciting year. 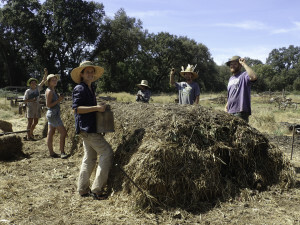 There are currently 6 apprentices who you see directly above placing the 6 compost preps in the most current compost pile. 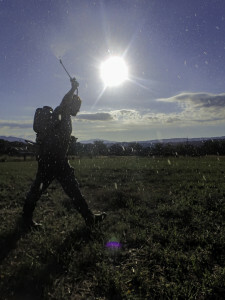 And above that Jon Guisti is spraying the biodynamic horn silica on next year’s grain crop in the early morning hours.